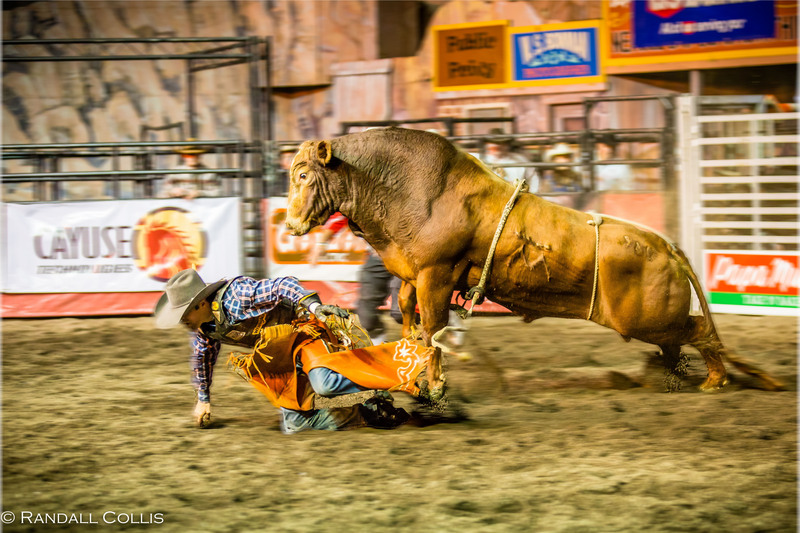 Your photography is quite simply amazing .. but I too am not a rodeo fan. Thank you very much Julie, with a camera in-hand I can find it much easier to get lost in a scene and activity 🙂 The two sides of thoughts people have about rodeos is a complex issue, but never lost should be the understanding of the care and love these magnificent animals receive from their caretakers; points on both sides of this discussion are valid, respected and always a tough one to discuss 🙂 Cheers to a great day ahead! 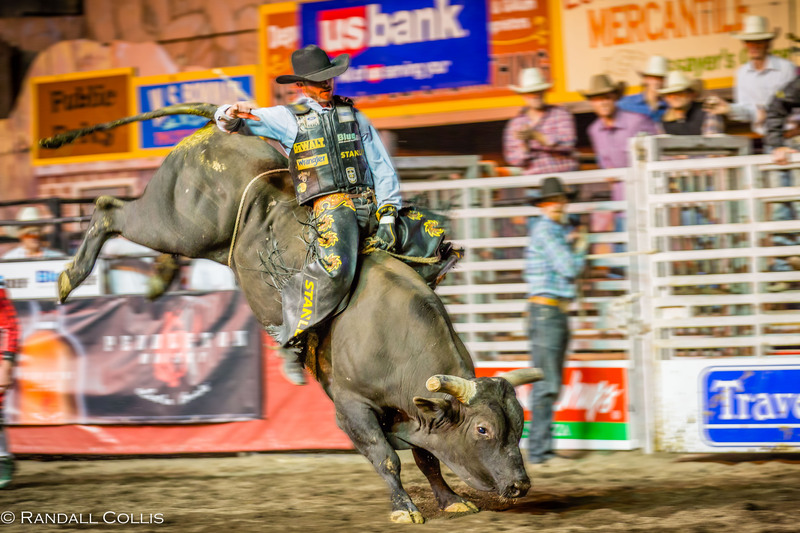 The feeling you had while reading is 100% what I had hoped to achieve ~ it was a balance I had in my head, and even while I was shooting, wondering what could go on in the mind of the rider and the bull. 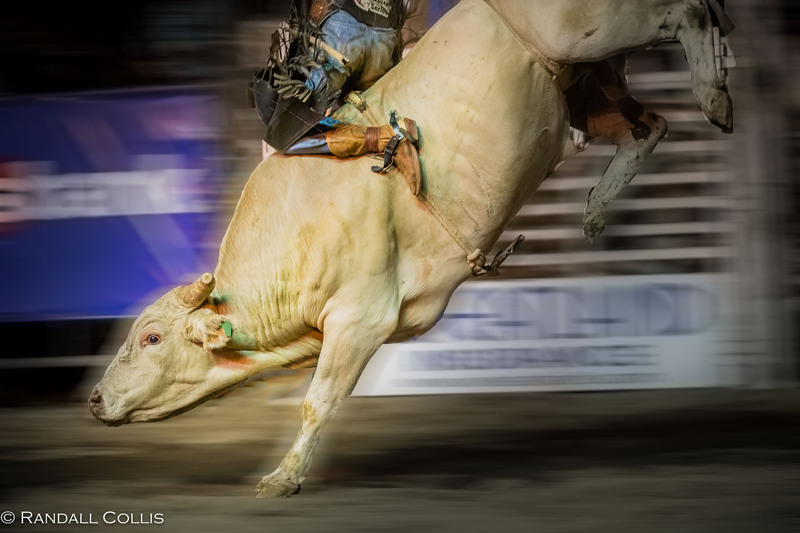 You touch on a very important piece of my writing too, the analogy of the ride of the bull to our ride of life; challenges, dreams, and hope are what spurs us forward. These moments in time connecting us all, even if the moments are only eight seconds long 🙂 Thank you for a wonderful comment Nicole, and wishing you a great weekend ahead. Powerful in many ways Randall – you bring us so close with your words and images that it was as though I was one with the bulls and riders. I can’t agree with the sport so I found a sadness in it. But I also found a sadness in the story of the riders. And yet I could also feel that almost desperate attraction that they must feel, the wanting to be taken out of themselves into some kind of redemption. The tale of a cowboy is a strong one, of grit and toughness ~ but also like us all, seeking some kind of redemption. You describe it very well, a certain sadness but one that is rooted in a culture and tradition that still remains strong in the west. I’m very happy you were able to see the power in the image and the words. Thank you very much Andrea. Thanks Gunta, and I would have to agree that the Pendleton Round-Up is the ultimate rodeo and experience of the West. The Native American Indian community of the area is incredible to see, and so much history and openness from the local tribes and those that come from around the USA ~ and then there is music, shows, and I little bit of drinking too to keep things interesting 🙂 I actually have a reasonable collection of photos of the clowns, who are incredibly athletic as well ~ and as you say play such an important role. Good idea. Cheers to a good weekend! Thank you very much ~ a great environment to shoot. Sheer poetry in action and images, and action expressing itself by plumbing philosophical depths, as only a person of your artistry can, Dalo. Hats off…. Dear Raj, a wonderful comment. Watching these cowboys move through a world so different from the other places I’ve seen, made me realize that in many ways we are all the same. Going through the challenges and key moments of life, and as we tackle these moemnts, whether eight seconds or eight years, we do so with a certain poetic grace. Thank you very much ~ wish you well. It is great to hear your thoughts about this Mia, they really reflected mine especially “I found myself envious of the rider and the bull” ~ a great sense of positive envy for the participants in this incredible, emotional and passionate dance. It is as if all emotions in existence are laid out within what appears to be a short period of eight seconds, but within all the chaos is a calmness where every minute detail comes into focus. So many possibilities where things can go wrong…as well as go right. Stretching this tiny moment into what feels like an eternity. And to think, there are moments in our lives we experience the same, albeit in very different settings. Wonderful words, and thank you very much for this comment. Wishing you a fantastic autumn Mia ~ take care. every inch is a mile. ‘I have no past, I have no future.’ I think this is what we truly feel when we are in the moment, especially when it comes to do doing what we love and what speaks to us. Very creative piece, and that is a very full-on, action-packed sort of delirious eight seconds there. 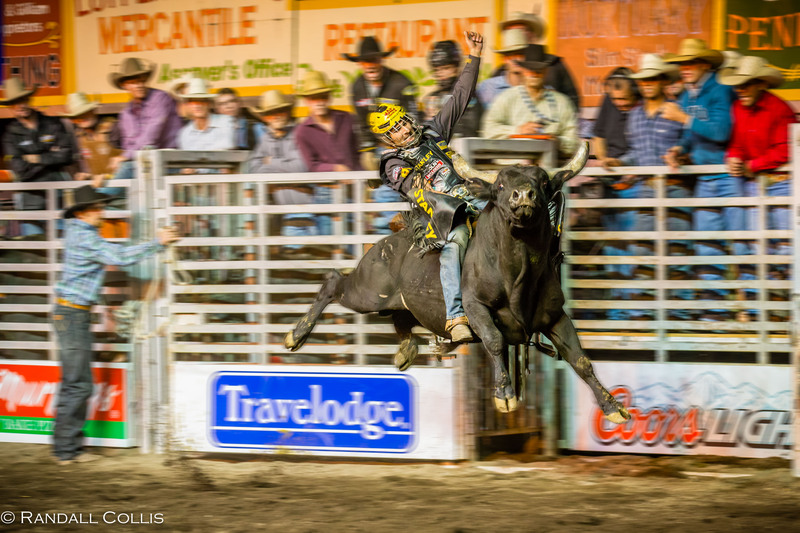 I’ve never been one to hop on a bull or try rodeo but somehow felt like I was there. It sounds like sport (if you can call it that) takes a lot of guts – as you mentioned in the comments above, so much room for something to go wrong. 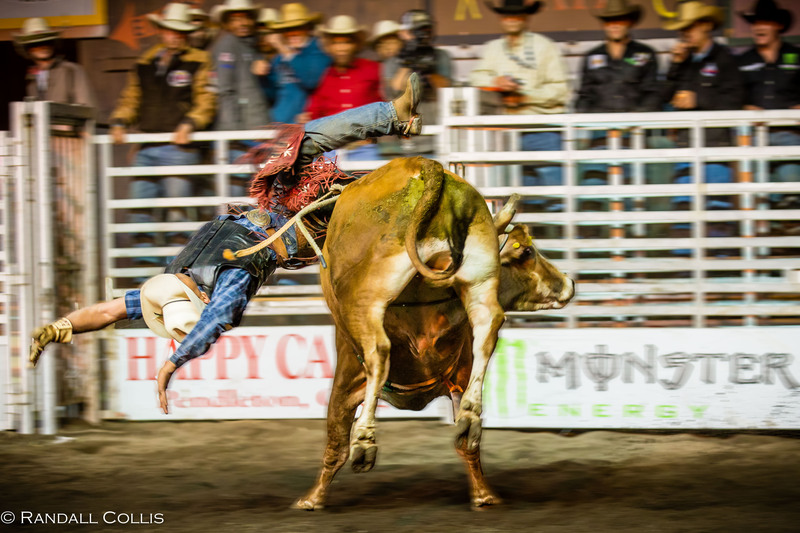 Yet…cowboys persist and do what they do even though some might think they are out of their mind to put their life in the balance each and every try for a better ride. I wasn’t expecting the way you ended the post. But it reminds me how the journey and the point at the top can be lonely – and that you don’t see it coming along; you probably realise it when you fall and take a bit of a moment to get up, knowing that you can actually get up alone. So much can happen in a short space of time, and sometimes the best moments and feelings within are the shortest until next time. I think this is the one thing I often take away from riders, and all professional athletes and this is their ability to focus and harness the “moment” and do all they can while in the zone. Thank you very much Mabel, and a great description of “a delirious eight seconds” and just think if we could capture such focus throughout a day ~ we’d probably be exhausted but sure would get a lot done 🙂 The ending was something that shifted during my writing. It seemed more accurate for both the cowboy and for all of us in life, the ups and downs are something we all must deal with and knowing this makes even the down periods something we can view as positive (I am an eternal optimist in this way!). 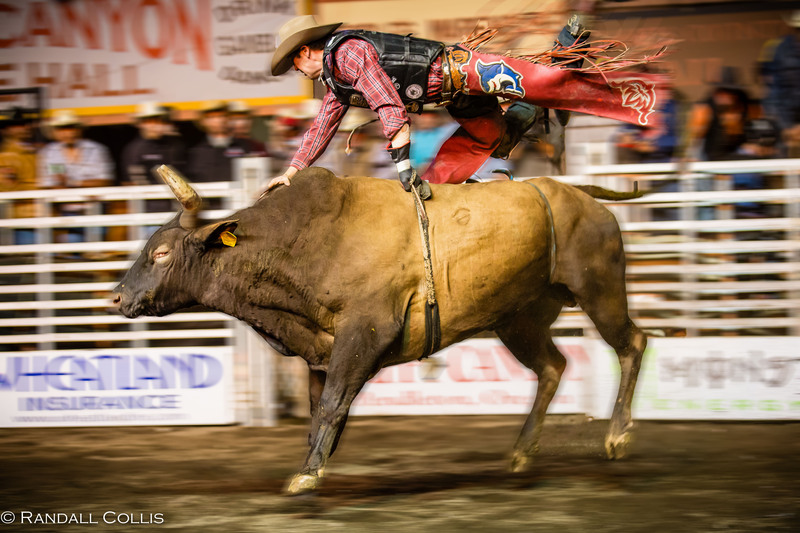 I never knew that bulls could jump like that. Thank you Rabirius ~ I have to admit, I was a bit surprised by the shot as well, as I rarely have seen such a jump. Cheers to a great autumn ahead. You probably noticed it more when it is frozen in the photo. Goodness. Can you at least put out a hand to steady me? Breathtakingly beautiful photos and descriptions, R. Those airborne shots are something. I love the body splitting in different directions and that gravity becomes a myth. This sort of insane chase of dreams kills me. Oh, I love it, these other-worldly creatures who train how long to stand in danger’s mouth for mere seconds, laying everything on the line. I hope that you were here also means you were able to spend good time with family. Gladly give you a hand anytime, D. There is nothing quite like getting a glimpse into a lifestyle far different from my own ~ the commitment these cowboys have to their work will always impress. It is always nice to try to understand those who chase insane dreams, I think something we all have inside. Always enjoy my time at home, and I hope autumn is treating you all well. Take care. Your series of photos are a thrill to view, Randall. You’ve captured the essence of these seconds flying by. A world I know nothing abut , but you’ve given me some insight. Nice to see you posting. 🙂 thanks. Beautiful photos. I’d love to witness and experience this dynamic event one day. Well that was heart pounding, both in words and visuals. I can’t be convinced it’s fun, not even with your comparison of your parents throwing you in the air. Welcome back Randall, it’s fabulous to see your fantastic photos. I don’t know how you capture them so well mid-movement like this just brilliant. Hi Mélanie, the Texas and Houston scene for rodeos is pretty big from what I have heard ~ but NASA is a pretty cool culture to get immersed in as well 🙂 The eclipse here in Oregon exceeded my already high expectations 🙂 Thank you very much for the comment, wishing you a great finish to the summer! Fabulous photos as always, Randall…but a hint of pain beyond bruises. Thank you very much Sue, the great underlying feel I wanted to show is just what you described so well: pain beyond bruises. Excellent photography but the event is a bit too aggressive for my liking. This wouldn’t be Calgary would it? 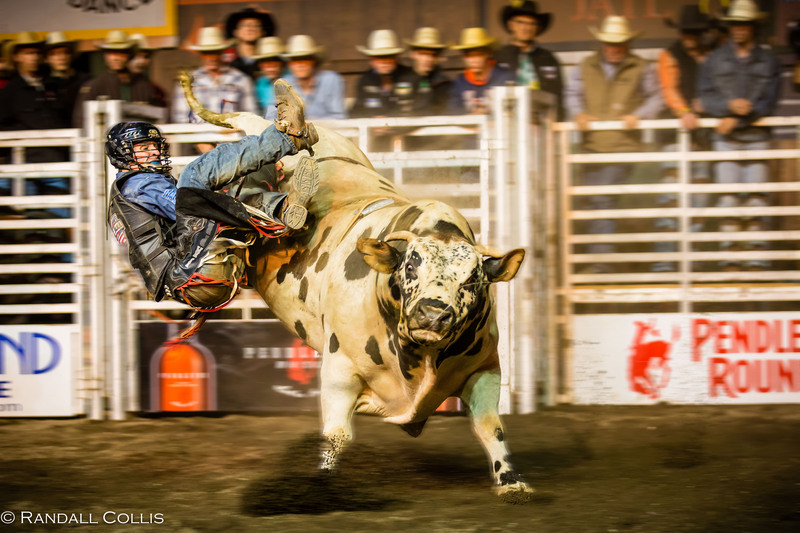 Thank you Léa, this event takes place in Pendleton, Oregon ~ the Round-Up and PBR Event, but Calgary is also a great place too. Ah, I have been through Oregon many times on the journey from California up to Canada. Lots of kin still up there. I used to work the Stampede for an aunt and uncle. We traveled all about western Canada. Randall, your photos are so beautiful and your words, music to these ears, we follow you anywhere sir! Pendleton! We went through there earlier this year on the way to a Central Oregon road trip. We thought about the rodeo but decided it’s tempting for the cultural color, but still not quite our thing. I know I’d never achieve photos like you show here. As always, you weave a dramatic and compelling story with words, too. I hope all is well with you, and I wonder where you’re off to next? 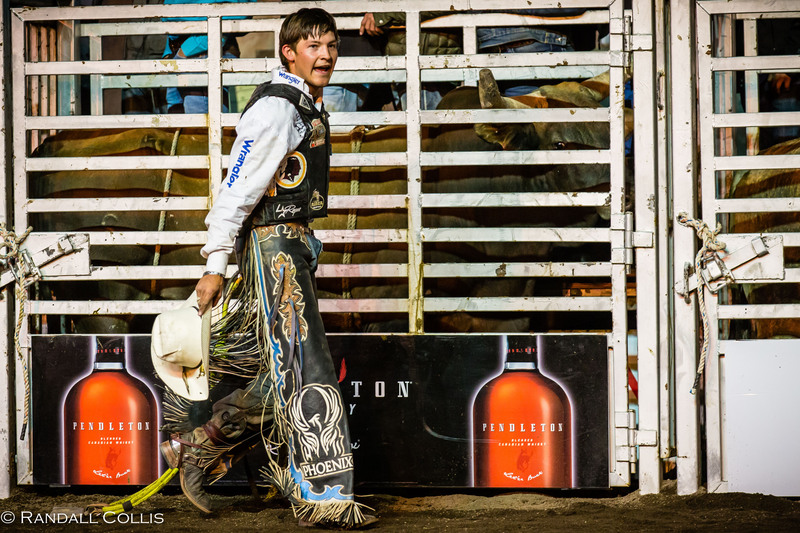 Pendleton ~ Let’er Buck! ~ there are so many great places to visit in Oregon, so you can’t go wrong. However, if you do get the chance to visit the Pendleton Round-Up, you’d be amazed and I think fall in love with the hospitality and scenes. We warmly welcome you Lynn, and thank you for the comment! I’m in the States for just a couple of days and then head back out to the Czech Republic. Wishing you a great autumn ahead. Extraordinary series of photos! Wow, amazing. Thank you very much ~ wishing you a great day ahead! Thank you Madhu, it is fun to get into a photo so much that the story begins to tell itself 🙂 Wishing you a great end to summer! Hand cramping, wrist afire, I scan the crowd with hungry eyes of hope. This was unexpected. Powerful. Changes the entire feel of the piece. Well done. Makes me want more of the story. There is nothing quite like the life of a cowboy, from those in my home town to the rodeo to the western songs on the radio ~ it seems they experience every emotion imaginable, every day a life fully lived. But the one theme that seems to get repeated, especially in the songs and Loius L’Amour books, are those times of solitude and loneliness. Thank you very much for this comment, Bill, you touch on what is the heart of the piece for me. Stunning photo essay, Dalo. 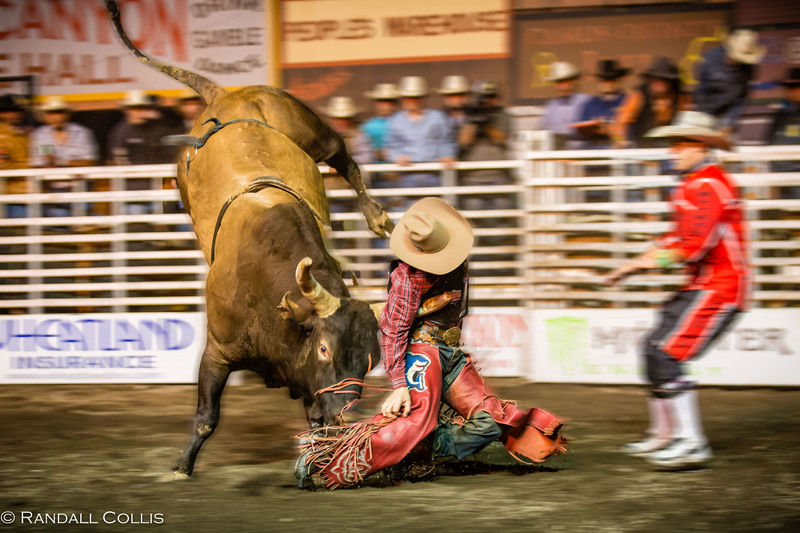 I don’t know much about rodeos, but it looks like a fair enough competition between a man and an animal to me. Physical pain is a routine. They know how to deal with the physical pain… Thank you for the great photography and the story behind. Coming from a small town in the western part of the USA, the life of farmers and ranchers and their commitment and hard work was one that I greatly admired (many friends and co-workers growing up). 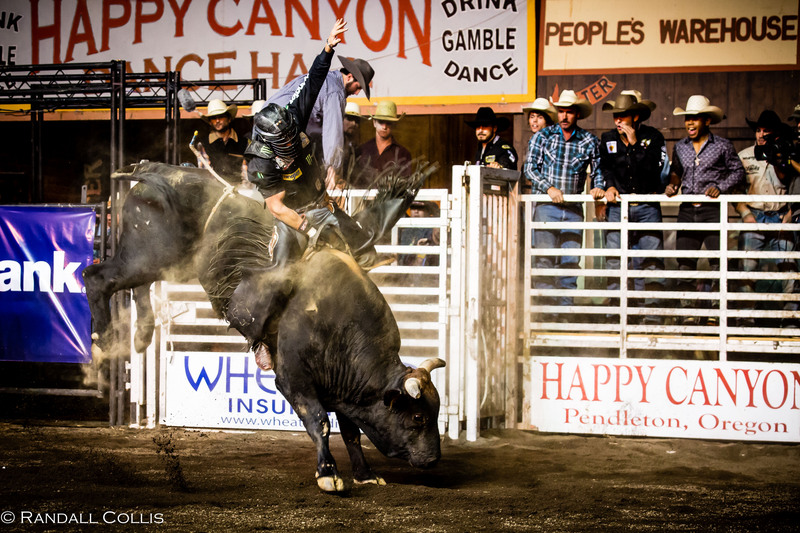 Within this environment, having an annual well-known rodeo made an everlasting impression on me. I enjoy revisiting this as much as I can ~ thank you very much Inese. Thank you for sharing your beautiful photography! Very powerful images Randall. A stunning series of photos revealing the incredible drama played out in those 8 seconds. Thank you Simon. One of my favorite thoughts growing up was “it is never how much time you have, but what you make of the time you have that is important” and as a kid, it always intrigued me to think what goes on in the mind of a cowboy for those eight seconds. Such a short period of time, but for a rider, it must feel like a lifetime. Love the lyricism of your dramatic photo essay. One of your images reminded me of an illustration of a Minoan bull leaper, an ancient figurine displayed at the British Museum. The similarities, so uncanny, brought a timeless quality to your post for me that was unexpected. When I was a kid, my Grandparents gave me a model of a Spanish bull that was leaping ~ very similar to the Minoan bull ~ I always thought how majestic the bull looked. I never really thought about it much in terms of rodeo bull riding, but your comments immediately brought back this memory to me (and I still have the model back home somewhere!). Thank you very much! Wonderful, thank you Aquileana ~ wishing you a great day ahead. 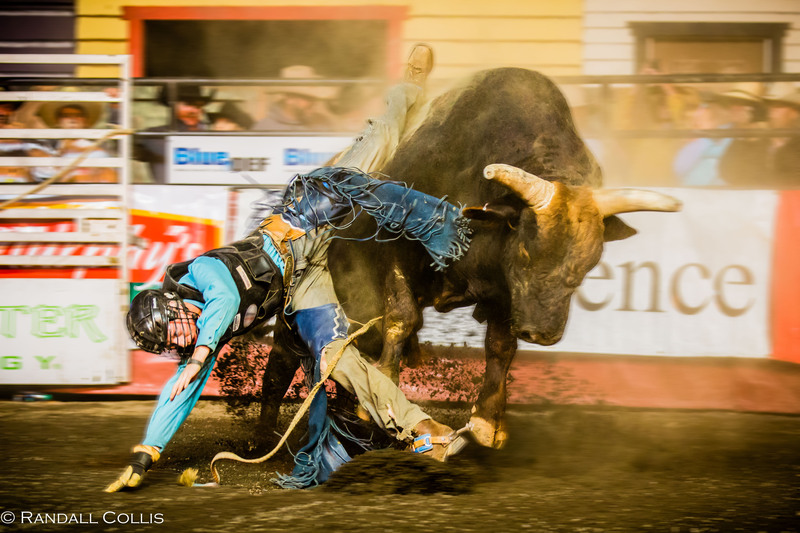 As always I love your yearly rodeo photos. They show how much force, bravery and trust one can have. I hope you are doing well! All of life is to find those moments that connect us, to do what we love to do ~ and I like the rhythm of your words “the longing would still be there in the morrow…” something a cowboy philosopher would certainly say. Thank you very much! 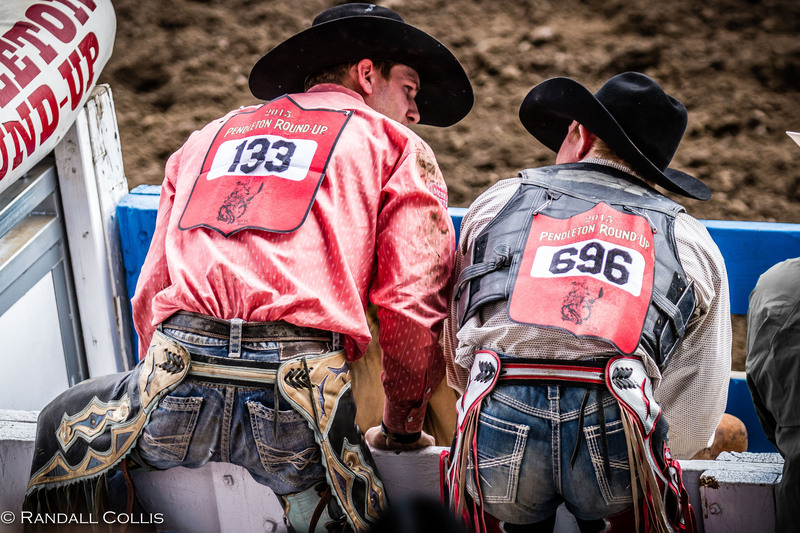 and praying with each rodeo i watched….. 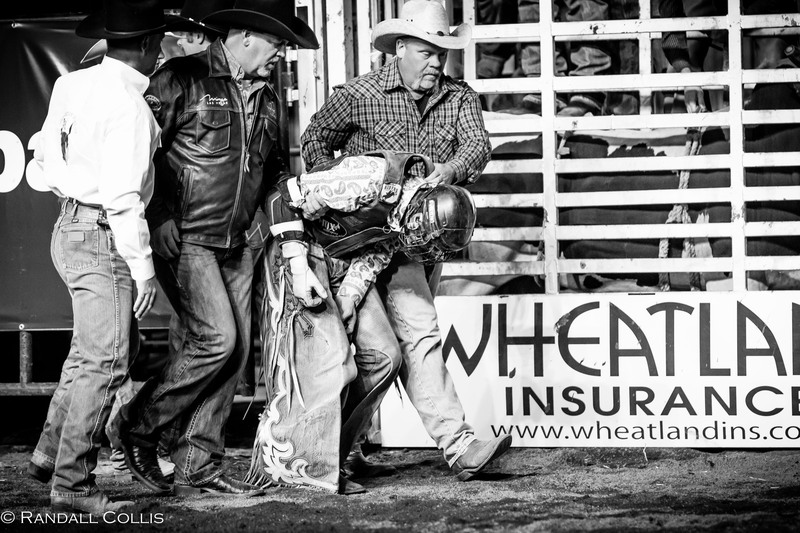 There is nothing quite like the experience of a rodeo for a kid, a feeling that will always ride along side as they grow older. I like the description you use, “poetry in motion in the wildest of chaos commotion” as that summarizes the show very well Maryrose, thank you. Nothing like the rides of the past to bring back smiles of today. Randall I use to go to the rodeo as a child I still wonder where they get their courage from. Your images are amazing and captivating the seconds freeze and we see this strange world of strength against strength but I still am cheering for the beast of course. Hello Kath, I’m with you on this, cowboys are a special breed ~ the courage to ride every week, accepting a very hard life style…it all makes the rodeo what it is. It is a bit of history too, which makes the scene that much more surreal. Thank you, Kath, and wishing you a great finish to the summer. You continue to surprise and wow us, Randall. I love the extra creativity in writing very much. I love the ”starts and stops” of the emotions and actions. Thank you, Rommel, the bull riding event has so much action and emotion, made the photography much more interesting ~ also made it easier to get creative with the pen as well 🙂 Wish you well my friend! Thank you very much, Tosha. Thank you, Alois ~ wishing you a great weekend ahead. I remember attending rodeos when we lived in Texas. Certainly a challenge I would never want to try. Great photos and writing! Nothing quite like a rodeo and Texas has a few 🙂 Thank you very much, Roslyn. Great, great pictures!! I love it. Watched rodeos in TV only, I probably dare not to watch it in such a short distant. More than exciting! All that motion. Mesmerizing for participants and spectators. Such a brutal lifestyle, though.